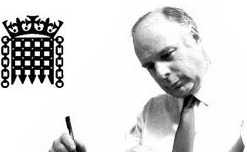 Our speaker at this focused event on 22nd February 2019, will be Ian Liddell-Grainger, MP for Bridgwater and West Somerset. Ian is a great supporter of Bridgwater Business and works tirelessly to try and keep Bridgwater money within Bridgwater. He has supported the Chamber extensively and always enjoys meeting the business community at the yearly Chamber meet the MP event. Ian’s update of issues affecting the area and effects on local business always very enlightening. A fantastic opportunity to meet professionals from other local businesses and to build relationships with them, gaining new contacts, information and support for your business. To listen to views and ideas on the topics of the events and to raise your own points and opinions about these, and to gain information from the guest speakers. Last event was a storming success so book your places now to avoid disappointment. Also get to ask the questions which are key to you and your business. · Have an opportunity to meet key people shaping Bridgwater’s business future. · Develop strong business relationships. · Learn from business experts. · Hear from knowledgeable and interesting guest speakers. · Be able to raise your own points on the topics in discussion. Get support to help grow your business.